NC State’s Veterinary Hospital will set a new standard for animal health. A Magnetic Resonance Imaging (MRI) is the gold standard in helping veterinary clinicians and scientists to arrive at vital answers to what is going on with their patients and to develop better treatment options. Over the past decade, advances in imaging software, improvements in imaging power, and the addition of new sequencing choices have made the MRI one of the most powerful diagnostic tools available in veterinary medicine. To succeed in our goals, we need the help of donors like you! The MRI scanner at NC State Veterinary Hospital is 13 years old. The average lifespan of an MRI scanner is 11 years. More importantly, since our MRI scanner was purchased there have been significant changes in technology, software and testing methods that allow for more detailed images not available in our current equipment. 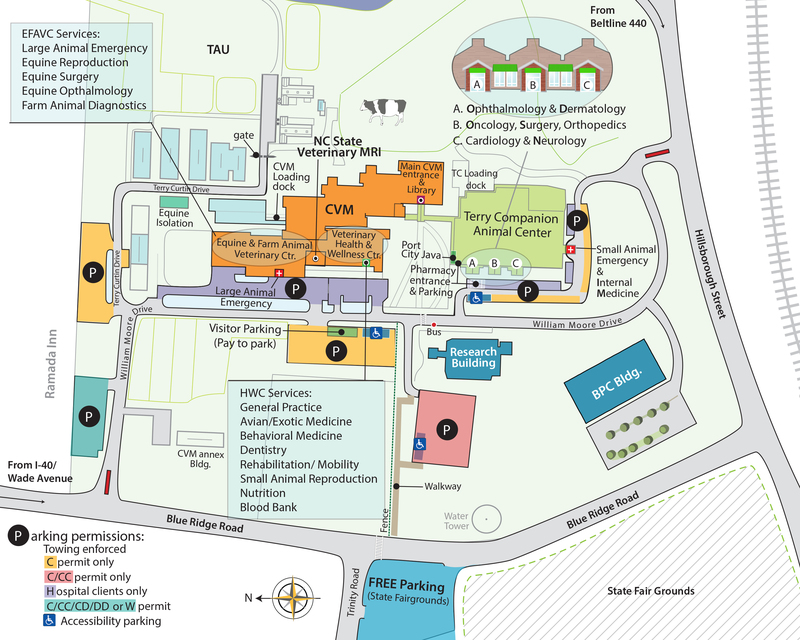 NC State Veterinary Hospital is the primary center for advanced animal care in North Carolina. As such, veterinarians and their clients look to us to offer state-of-the-art diagnostic tools not available in most practices. NC State Veterinary Medicine clinicians and scientists are at the forefront of research in cancer, neurological and orthopedic diseases, which are common among animals. An up-to-date MRI scanner will provide NC State clinicians, scientists and their patients from around the state and region access to the best available tools to diagnose and provide the advanced care their patients deserve. Scientists will have the tools necessary to continue to develop innovative approaches and advancements that improve the health and quality of life of animals in our state and around the world. The MRI scanner will allow clinicians to expand the use of the equipment and will dramatically increase the ability to diagnose and treat orthopedic, neurological, cardiac, intestinal and other conditions. Support the Fund for a New MRI! By making a gift to NC State Veterinary Medicine, you invest in a commitment to state-of-the-art care for animals and the pursuit of an ever greater quality of life. There are many ways to show your support!